Kenya On Fire for the Lord!!! Rejoice! Again I say, Rejoice! 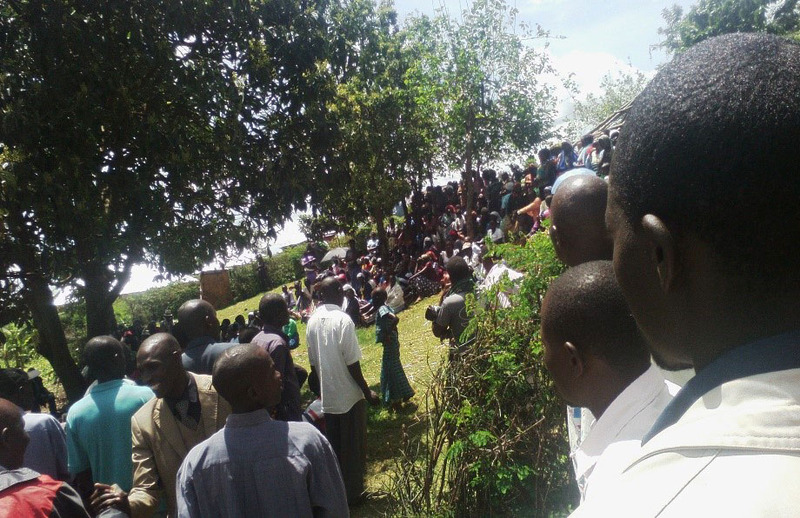 In the months since May 2017 when first asked by Pastor Jared Omweri if Rigena Christian Church could become a Fellowship Riders affiliate, the Lord has been moving quickly and powerfully among the riders in Nyamarambe. 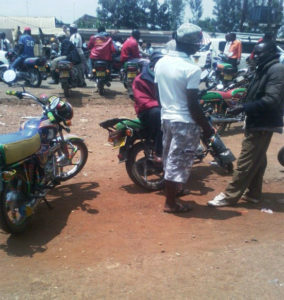 The riders, using their motorcycles to carry passengers and cargo, gather in “stations” where people can hire them. It is these stations where Pastor Jared has been meeting riders and inviting them to the rallies (group rides) and Bible Studies he is conducting. After the 1st rally, several riders asked for Bibles in their language of Kisii, which we were able to provide (riders following along with Pastor Jared in their new Bibles), but more are needed as this ministry is growing rapidly. Pastor Jared recently reported that at the next rally, his initial group of 8 riders joined with another station for a total of 20 riders participating, and that 3 riders accepted Jesus as Savior. Two other stations have heard of the rallies and have asked Pastor Jared to come preach to them and for them to be included in future rallies. 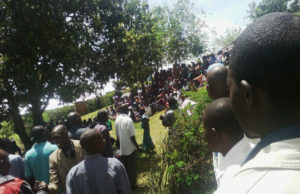 The first Bible Study for the Boda Boda, with the expectation that only 20 riders would be attending, brought out many of the village people as well as ½ the membership of Rigena Christian Church “with many accepting salvation in Jesus’ Name.” Praise you, Jesus, for You are the Lord of the Harvest. In his most recent email, Pastor Jared shared that another pastor, living in a village 250Km away, had heard of the work among the Boda Boda and he wants to start a ministry in his church. We will be praying and seeking the Lord’s confirmation for this newest request for another ministry in Kenya. Adding Praise! 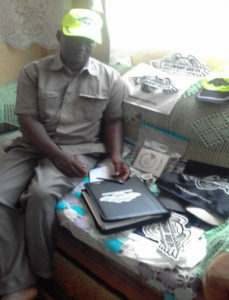 on top of Praise!, Pastor Samuel Mbuchi has just received his Starter Kit of Riders Tool Kit, caps, decals, Bike Blessing stickers, and flags. Pastor Samuel has already been working among the Boda Boda in Nakuru, 3rd largest city in Kenya, and had been anxiously waiting for his materials to arrive. Together, we are praying for the Spirit of the Lord to go before him, to fill his mouth with His words, and for the Kingdom of God to be released in Nakuru. 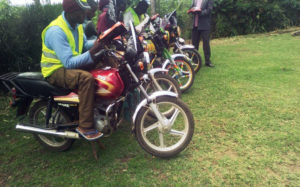 Fellowship Riders humbly asks you join us in praying for this work of the Kingdom and to consider partnering with what the Lord is doing through these He has called to go to the Boda Boda with the Gospel of salvation by donating at https://fellowshipriders.org/about-us/donate/.